What is the Purpose of a Pergola and Why are They So Popular? You’re ready to make some changes to the backyard landscaping. One of the things you want to do is add an outdoor space that’s shaded and provides a nice place to sit and enjoy the grounds. Some friends suggest adding a gazebo while others think a pergola would work nicely. Before making a decision, it pays to learn more about pergolas, how they can be used, and why they are so popular today. A pergola is an open structure consisting of a series of parallel poles or pillars supporting a roof made using cross-beams. Some designs include a lattice as part of the roof structure. 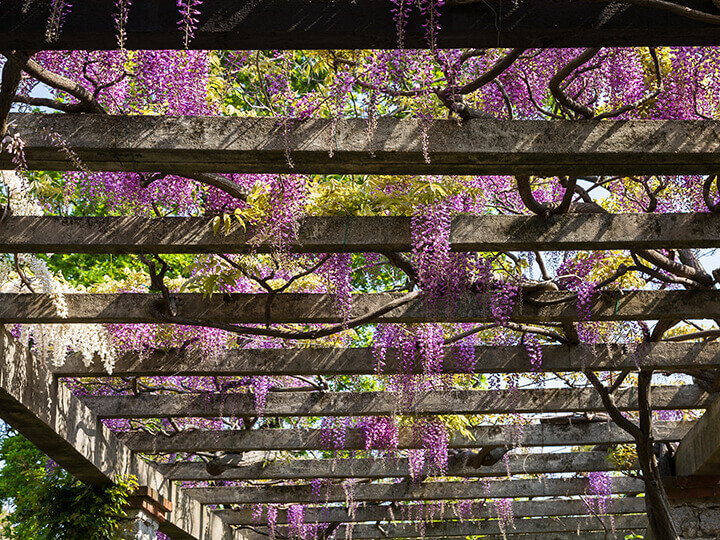 Pergolas provide an open feel while also creating the perfect spot to arrange a series of hanging baskets of plants or run ivy or other woody vines up and over the structure. Pergolas can serve as sitting areas, passages to other parts of the garden, or a shaded place to walk. How is it Different From a Gazebo? There are three main differences between pergolas and gazebos. One has to do with the shape. A pergola is typically square or rectangular. 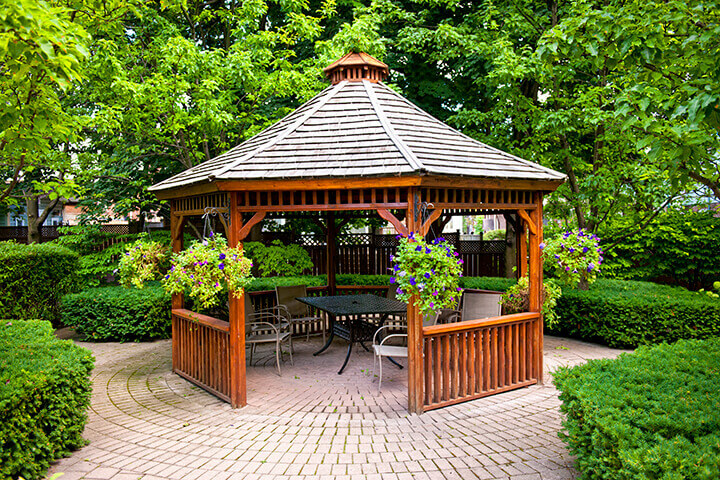 By contrast, the typical gazebo is either round or shaped like an octagon. The roofs of the two structures are also different. A gazebo will have an enclosed roof while the pergola sports a roof that’s like an open grid. In a sense, the pergola doesn’t have a roof proper, just a series of cross-beams that may or may not be filled in somewhat with the use of lattice panels. A third difference is how gazebos and pergolas are used in the landscaping. Most people think of gazebos as structures that stand away from the house and serve as a focal point on the grounds. 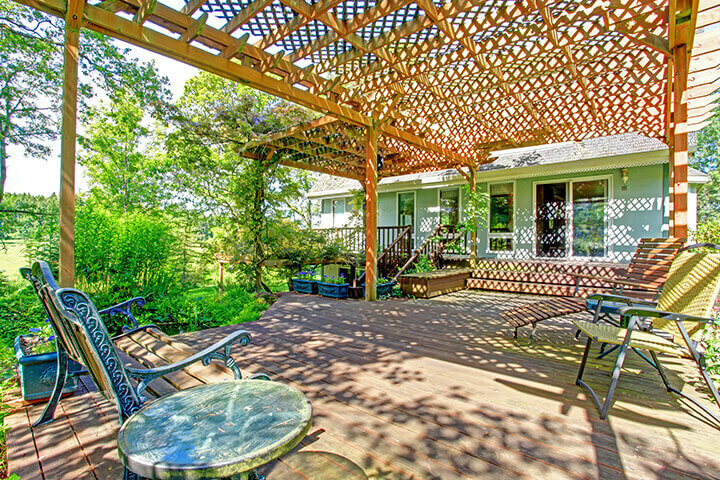 Pergolas may be constructed at one end of a patio or a deck. They can also be used to create a vine-covered passage leading to some other element of the landscape, including a gazebo. The basic pergola design lends itself well to various types of customization. One approach is to leave the structure completely open. It’s easy enough to dress this design for special occasions using longer sections of cloth across one side, along each pillar, or hanging gracefully between each of the cross-beams. The open design also works well when the plan is to train ivy to run up the pillars and eventually fill in a lot of the space in between the cross beams. Louvers are another way to add more spice to the pergola design. This works especially well with a rectangular shape since it’s possible to mount the louvered doors in shutter fashion along each of the longer sides. Doing so makes it easy to partially open or close the sides if you like. This design works especially well if you want to control the amount of breeze entering the structure, or would like to set up a candlelight dinner and still have a little privacy. There’s no rule that says a pergola has to include a roof that’s flat. For example, you could use metal posts or pillars to support a sloping grid for the roof. It’s possible to include softer rather than hard lines overhead, something that may work perfectly with the style of your home. The relatively easy construction also makes a pergola a popular way to create an outdoor living space. Pergola frameworks are even available in kits today. It’s possible to use a kit and have the structure finished in as little as a day. That means you can begin enjoying the space almost immediately. As a design element to the landscaping, pergolas are versatile enough to fit into just about any plan. Take cues from the home style and it will look as if the pergola was part of the original landscaping plan. Once it’s up, you can use it for the perfect place to relax after work, catch a breeze during the day, or just have some quiet time. Along with being your own private sanctuary, using the space to display your favorite potted and hanging plants is a great approach. Are There Advantages to Adding a Pergola to Your Landscaping? Many of the benefits of pergolas have to do with adding function to your landscape. They certainly create spaces that you can use for sitting comfortably outdoors. In terms of appearance, they provide a finished look to the space as well as visual interest. Another important advantage is the impact on your property values. The right type of pergola will increase the market value of the property. That may not be important right now, but it will make a difference in the price you can get if you decide to sell at some point. Never overlook the benefit of having a private space outdoors. You can easily design a pergola using lattice panels or louvered doors to allow you the best of both worlds. Open the panels or doors when you want to have more of an open feel. When you are in the mood for privacy but still want to be outdoors, close them. You can’t go wrong by adding a pergola to your landscaping. Whether you have a large expanse of backyard or want to dress a smaller area, it’s easy to scale a pergola so it’s a perfect fit.